This workshop helps your leaders improve communication, boost teamwork, promote interpersonal interaction and customer service through engagement in acts of kindness, authenticity and vulnerability. Be prepared to laugh and learn and who knows you just might have some vocal soloists among your group. If you are in need of a cultural reboot, let Cohen empower your leaders and teach you how kindness can change everything! 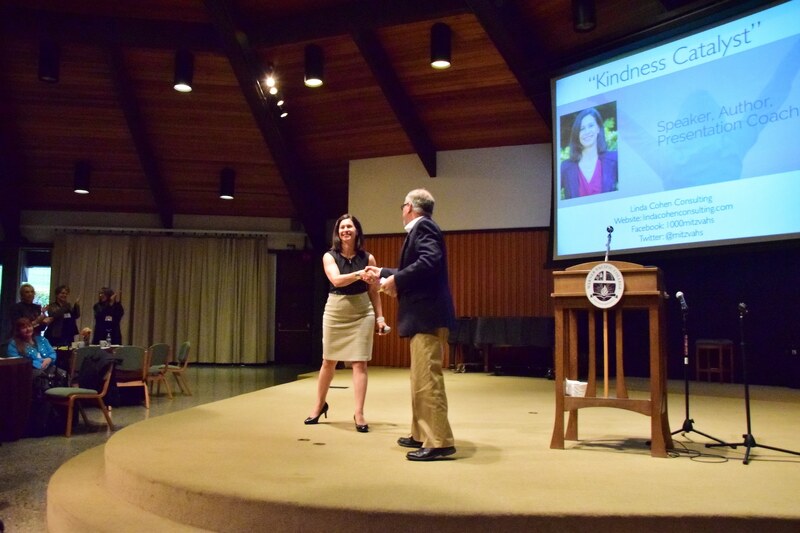 Interested in “The Economy of Kindness” workshop for your company or organization? Perfect for a leadership off site or professional development opportunity. Contact Linda for more information. The half-day workshop Linda facilitated for our division (200 staff and managers) was filled with activities, discussion and laughter – all centered on the topic of incorporating kindness into the workplace. Linda’s friendly and comfortable presentation style provided an atmosphere that encouraged managers and staff to engage in conversations about the importance of kindness in our lives – including our work. It was obvious by the level of animated discussion that Linda’s work on kindness in the workplace resonated with us all. Our time with Linda was well-spent and we will be able to leverage this training to continue the economy of kindness. Linda Cohen inspires kindness. In a world where the very meaning of face time has been usurped to be screen time we too rarely slow down to think about what it means to be kind to one another. Linda’s presentation at Lines for Life, an already incredibly compassionate organization, inspired us to explore ways to bring even more kindness into our workplace. You impacted many attendees. People were still talking about cultivating kindness on the second day of our event and continued after we returned to work the rest of the week. Your story is so relatable and heartfelt. You fit right in with our organization! I look forward to the lasting effects your speaking will have on me and on our agency as a whole. Thank you so much for documenting the suggestions that staff shared, we will ensure they are passed on to our leadership team.